The leak director detects tube leackage merely by pressing a button. 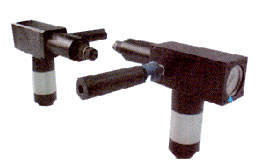 The Pressurizing gun and plugging gun are inserted into opposite ends. 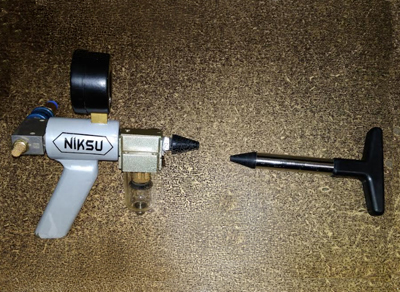 Pressuring Gun lets in air to pressurise the tube to 100psi with compressed air. The guage will show and hold the pressure if there are no leaks. Conversly, apressure drop is indicated on guage incase of tube leak. A quick slide of exhaust valve silently lets out the air in tube and releases the gun for next tube test. 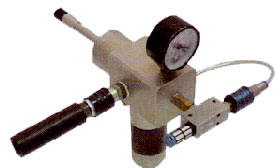 The Joint Tester is designed to test both rolled and welded tube-to-tubesheet joints. Joint Tester is inserted in tube, a tigger expands tube seal inside the tube and beyond the length of expansion. Actuating a slide valve generates vacuum between the tube seal and face seal over the joint seam. Vacuum level is indicated on gauge. Should the amount of vacuum shown on gauge start dropping, a leak is detected. • Simple, Quick and Reliable tube and joint testing. Test 7 to 8 tubes or 10 tube joints per minute. • Interchangeable seal sets : Allows testing of tubes from 7.75 mm to 30.63 mm ID with easy to replace accessories. 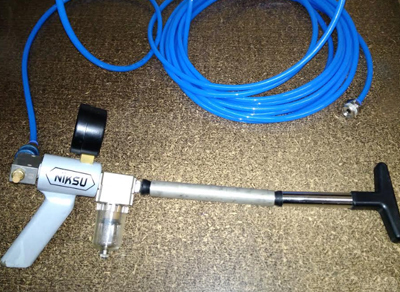 • Each Tube Testing Gun weighs less than 1.3 kg and Joint Testing Gun weighs less than 1.5 kg. 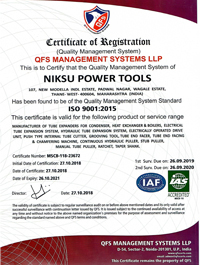 • Air supply : Uses standard plant air supplies from 70 psi ( 07 to 6.8 bar ). • Silent during use. Ergonomic design makes testing effortless. • Each Kit packed in easy to carry case.